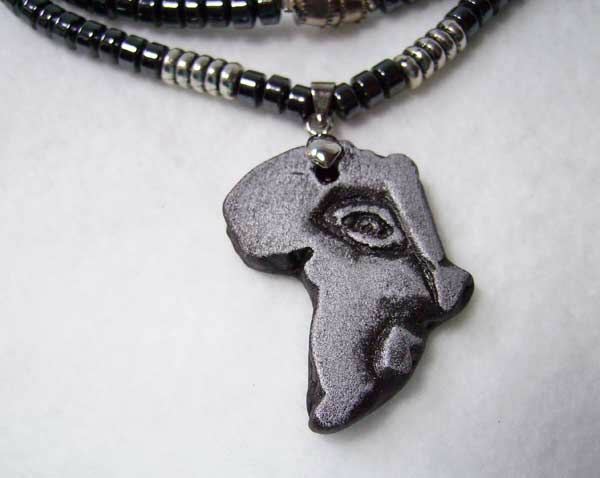 Very unusual necklace with a Face of Africa pendant. The face is made of clay, is approx. 3 cm long and 2.8 cm wide. 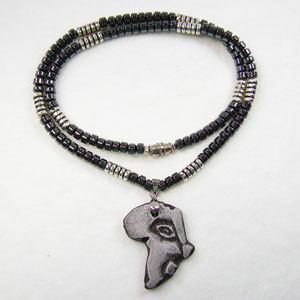 The necklace is 45 cm long and has Hematite and nickel-free metal beads. 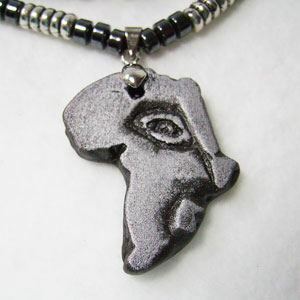 All jewellry items are handmade, are therefore unique and can vary in size, appearance, colour and shape.